Despite Victoria keeping them honest throughout the race, NSW led throughout the race to won by under a length. Queensland were in the race over the last 500 metres but could match the the first two crews. This was the first win for NSW in 20 years and the largest gap between wins for NSW in the history of this race. Free led all the way to again take the President's Cup. However Hardcastle fought well the whole way down the course making Free work very hard to take the honours. An all the way win to Tasmania who stretched their lead evenly throughout the race to win by 2.36 seconds. There was a fierce battle for the second place between Victoria and Western Australia which was a highlight of the race. 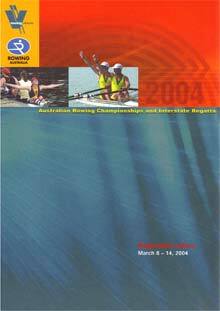 The Victorians were the best starting crew leading narrowly from Queensland after 500 metres. The Queenslanders then stepped up the pace and with a quicker second 500 metres than their first, taking the lead by 1.18 seconds by the half way mark. The Victorians held on but could not catch the Queenslanders over the rest of the race. The strong NSW crew were favourites and led from the 750 metre mark to comfortably win this race. Faletic started well taking a small lead after 500 metres but Bradley fought back well to take a 2.23 second lead by the half way mark. Martin had a great finish starting 9.06 seconds behind Bradley in third place with 500 metres to go and reducing that to 4.11 second by the end. She also displacing Faletic from second place in the process. The South Australians led the whole way taking most of their lead in the second 500 metres of the race. The Queenslanders led from the start. After the first 500 metres, they led narrowly from the Victoria with NSW in third place. The Queenslanders then powered away taking a six second gap on the rest of the field by the half way mark. The NSW crew then started their run taking Victoria in the third 500 metres and reducing the margin between first and second to three and a half seconds with 500 metres to go. The NSW crew then took after the Queenslanders finishing only 1.66 seconds behind.